LAWSON, WILLIAM, businessman, office holder, jp, and politician; baptized 14 March 1772 in Halifax, son of John Lawson and Sarah Shatford; m. there 26 Nov. 1793 his stepsister Elizabeth Handyside, and they had 14 children; d. there 29 Aug. 1848. 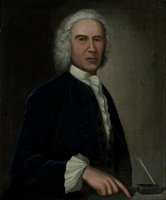 William Lawson was a member of a prominent Halifax family which had come from Boston in 1750. His father was a leading merchant in the town, and the family’s connections certainly aided William throughout his career. By 1800 William had established himself in business with Charles Ramage Prescott*. 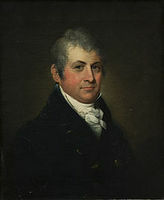 The firm of Prescott and Lawson traded with the West Indies, the Canadas, Spain, and Portugal, and in 1809 the two men took Joseph Allison into partnership. Prescott, Lawson and Company was dissolved by mutual consent in December 1811, but Lawson continued in business, importing naval stores and provisions from the United States during the War of 1812. With William Bruce Almon and Lewis Johnston he was a principal of the Halifax Sugar Refinery Company, which developed during the 1820s but suffered losses when a trade act of 1830 opened the British West Indies to American merchants. Early in his career Lawson became involved in politics. He served as a member of the House of Assembly for Halifax County from 1806 to 1836, and in January 1838 he was appointed a member of the Legislative Council, on which he sat until the session of 1845. 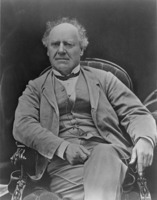 Joseph Howe* stated in 1837 that Lawson, “though wealthy and fairly entitled to the notice of the Government,” had never been made a member of the old Council because “he was too plain spoken and would not bend to the views of that body.” Certainly Lawson was reported to be outspoken and forthright. In 1812 he uttered “divers words, reflecting upon [Lewis Morris Wilkins] in his character of Speaker, and upon the House,” and was forced to apologize for them. Lawson also took part in the administration of Halifax. He was commissioned a justice of the peace in 1816, 1819, and 1845, and in December 1828 he sat on the committee for the supervision of public buildings. More important, he served as treasurer for the town and county of Halifax between 1835 and 1838, commissioner of the revenue commission from 1816 to 1845, and a commissioner for the poor in 1835. The appointment as treasurer was in part responsible for Lawson’s defeat in the election of 1836, since the nomination was made by the Council at a time when that body’s decisions were increasingly unpopular. An avid farmer, Lawson served as treasurer of the Central Board of Agriculture for a year until supplanted by John Young in December 1819. Lawson remained a member of the board’s managing committee, and he was critical of Young for accepting a salary and for mistakes in the handling of funds allotted to the board. 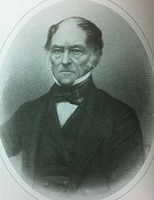 Throughout the late 1820s Lawson and other merchants pressed for the establishment of a public bank to break the monopoly held by the privately owned Halifax Banking Company, founded in 1825 [see Henry Hezekiah Cogswell*]. Early in 1832 a public meeting in Halifax passed resolutions calling for a public bank, and soon afterwards Lawson introduced a bill in the assembly to charter a bank. Attempts before 1825 to start public banks had foundered mainly on the opposition of country members, who were averse to the moneyed interests of Halifax and feared that a chartered public bank would have a permanent monopoly. However, the supporters of a public bank, who included William Blowers Bliss* and James Boyle Uniacke*, argued that its charter would not be exclusive and stated that “a dozen more might be given.” There were political overtones to the debate. Five councillors were among the owners of the Halifax Banking Company, and proponents of the public bank drew to their side members who may not have approved of the plan but who were opposed to the Council. Although the assembly favoured the establishment of a public bank, there was concern about the responsibility of those who would become its directors, and the charter which went to the Council contained stringent safeguards, such as a clause which required shareholders to be liable for twice the amount of their holdings in case of insolvency. This clause was an innovation in British North America, and came at a time when most banks limited liability to the value of a shareholder’s stock. Predictably, the Council amended the charter in order to place more restrictions on the operations of the bank. After some wrangling between assembly and Council the charter passed on 31 March with additional safeguards, more in total than applied anywhere else in British North America. Among the directors of the Bank of Nova Scotia, as it became, were a high proportion of assemblymen, Lawson, Bliss, and Uniacke all joining the board. Lawson was elected president, and the original stock list was headed by a subscription of £1,000 for 20 shares in his name, possibly paid for with funds inherited from his father. Political factors caused antagonism between the Bank of Nova Scotia and the Halifax Banking Company, but a controversy over the redemption of bank notes dominated the first two years of their coexistence. By its charter the Bank of Nova Scotia had to redeem its notes in specie, and when it requested that the Halifax Banking Company redeem Bank of Nova Scotia notes in specie it was refused. The impact of the disagreement began to be felt adversely in the province, and early in 1833 steps were taken in the assembly to resolve the issue. On 20 April a bill passed which permitted the Bank of Nova Scotia to redeem its notes in provincial treasury paper, thus placing it on an equal footing with the Halifax Banking Company. By 1834, in the face of economic depression in the province, rivalry had given way to cooperation as the two banks began to evolve a system for the exchange of cheques and notes. During the formative years of the Bank of Nova Scotia, Lawson was the most influential person in the institution. Overcoming the opposition of the Halifax Banking Company required firmness and determination, qualities which are evinced in his correspondence. He was threatened by his rivals in ways other than competition, such as in 1832 when Cogswell, in his capacity as president of the Halifax Board of Health, ordered the first quarters chosen by the bank made into a hospital for cholera victims. The bank grew steadily during Lawson’s tenure as president, but his own business declined, largely because of American competition. This situation no doubt contributed to his decision in March 1837 to resign as president. In a tribute to his leadership his fellow directors expressed their “thanks for the unwearied attention bestowed on the Institution.” Thereafter Lawson confined himself largely to his official duties. His house at the corner of Hollis and Salter streets, built by Malachy Salter* about 1760, was sold by his heirs in 1856 to John Esson*. Bank of Nova Scotia Arch. (Toronto), Fine Art Coll., portrait of William Lawson; RG 1, ser.1, unit 1 (President’s letter-book, 1832–40); unit 3 (Directors’ minute-book, 1832–75); ser.2, unit 1 (Annual report, 1832); ser.5, unit 1 (Charter, 1832); RG 18 (Capital stock); RG 49 (Photo coll. ); Secondary source file, material on William Lawson. Halifax County Court of Probate (Halifax), Estate papers, no.300 (mfm. at PANS). PANS, MG 100, 174, no. 18; RG 5, P, 121. Novascotian, or Colonial Herald, 1835–36. Directory of N.S. MLAs. [T. B. Akins], History of Halifax City (Halifax, 1895; repr. Belleville, Ont., 1973). History of the Bank of Nova Scotia, 1832–1900; together with copies of annual statements ([Toronto, 1900]). History of the Bank of Nova Scotia, 1832–1932 ([Toronto, 1932]). Joseph Schull and J. D. Gibson, The Scotiabank story: a history of the Bank of Nova Scotia, 1832–1932 (Toronto, 1982). Jane Hollingworth Nokes, “LAWSON, WILLIAM (d. 1848),” in Dictionary of Canadian Biography, vol. 7, University of Toronto/Université Laval, 2003–, accessed April 22, 2019, http://www.biographi.ca/en/bio/lawson_william_1848_7E.html.